Tom From YourLimo.com.au picked the party up from Alkimos, and took them down to the park, where they said there vows and then took photo’s by the waterfalls and lakes. 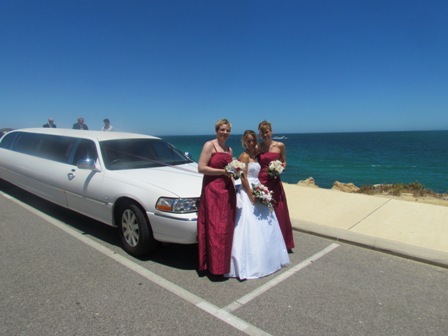 The party then moved on to Mindarie, where Tom parked by the Ocean to give the overseas visitors a taste of an Aussie wedding. The bridesmaids were gorgeous ,and they did a fantastic job looking after Janine all day.